CHICAGO (WLS) -- Hundreds of local Catholic priests and lay leaders are calling for immigration reform. 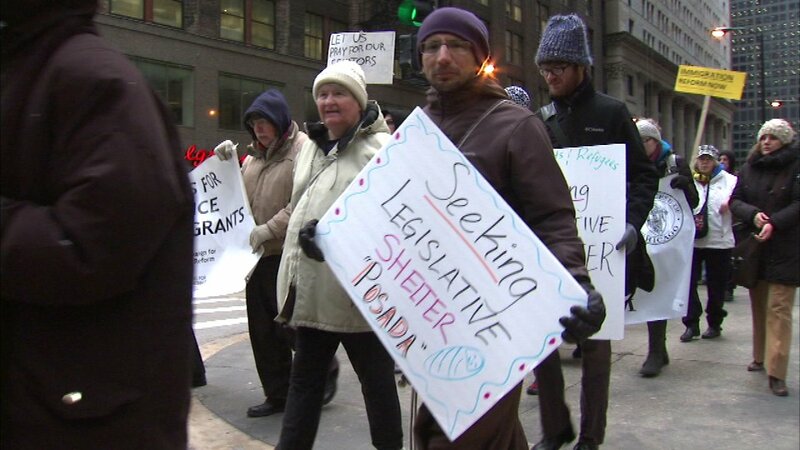 They marched through downtown Chicago in a "posada" on Friday. A posada is a re-enactment of Mary and Joseph's search for lodging in Bethlehem in the story of the first Christmas. Friday's event included prayers to end family detention and protect Syrian refugees fleeing violence in their homeland.